EducationUSA is a U.S. Department of State network of over 425 international student advising center in over 175 countries. The network promotes U.S. higher education to students around the world by offering accurate, comprehensive, and current information about opportunities to study at accredited postsecondary institutions in the United States. In this Government Connection, EducationUSA officials in Central America, Latin America, and Mexico provided an overview of key trends, market intelligence, and strategic guidance for U.S. institutions and organizations interested in government-sponsored programs. David Woodward is the Sponsored Programs Liaison for NAFSA’s International Enrollment Management Knowledge Community as well as the Co-Chair for NAFSA’s Middle East Member Interest Group. His core professional activities have included managing personnel nationally, marketing internationally, organizational development, and setting up strategic relationships worldwide. He has led in the formation of several key international marketing consortia and collaborative initiatives across professional disciplines. In addition, Woodward has led the development of various business startups and educational projects involving small businesses, universities, corporations, and government agencies within the U.S. and in peer regions of the world. As one of the 14 REACs -- regional educational advising coordinators worldwide, Rita Moriconi works under support from the Educational Information and Resources Branch at the U.S. Department of State’s Bureau of Educational and Cultural Affairs (ECA/A/S/A), responsible for the REAC program. Her responsibilities for EducationUSA are currently for the countries in South America Southern Cone, including Argentina, Brazil, Chile, Paraguay, and Uruguay. She is based in Brazil and has been a member of the Global EducationUSA network for 26 years and as a REAC for the past 10 years. Rita provides professional leadership, support and assessment to the EducationUSA network of 50 offices in Southern Cone, working with 68 EducationUSA advisers on topics about international student mobility and advancing ECA public diplomacy efforts in the region. Rita also works with public affairs section at local U.S. Embassies and Consulates counseling them on student mobility trends, advising programs, and providing guidance and training to EducationUSA advisers. Rita is a fan of international education and has attracted many U.S. associations to travel to Southern Cone countries and establish governmental partnerships strengthening the mobility to and from the United States. Ana is the REAC for the Andean Region (Bolivia, Colombia, Ecuador, Peru, and Venezuela). She holds a bachelors of arts in environmental studies and international relations and two masters in political science and public administration from U.S. institutions. Ana lived 12 years in the U.S. before returning to Ecuador. She has worked both in the U.S. and Ecuador in the public and non-profit sector on issues related to international relations, including international education, for more than six years. Her last position was as senior adviser for EducationUSA and Fulbright Commission Ecuador for two and a half years. Prior to joining EducationUSA in 2012, she worked as the international relations adviser to the Minister of Higher Education of Ecuador. As the regional educational advising coordinator (REAC) for Canada, Mexico, Central America and the Caribbean working out of the Institute of International Education, she oversees a network of 52 EducationUSA advising centers in 26 countries. Daily information, guidance and support are provided to advisers; multi-day workshops and training programs are organized and comprehensive evaluations and follow-on to centers are conducted. In her leadership, issues related to U.S. higher education are addressed with stakeholders including U.S. Embassy Public Affairs sections, foreign government agencies, U.S. and foreign universities, and Fulbright Commissions. REAC will provide resources and information on international student mobility and regional educational systems and represent the region at regional, national and international conferences. 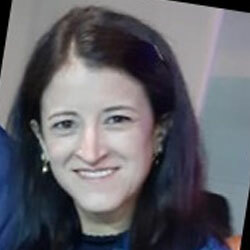 Prior to assuming REAC responsibilities, María Mercedes Salmon was the EducationUSA country coordinator at the Fulbright Commission in Ecuador for 10 years, and acting executive director for 18 months between 2007 and 2009. She holds a master of arts in international affairs from Ohio University where she attended as a Fulbright grantee.